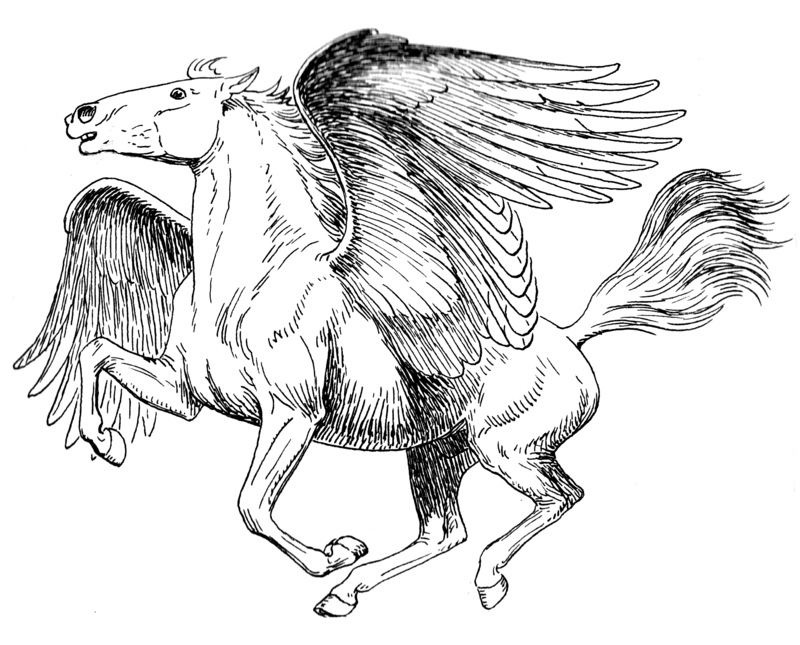 The pegasus is a winged creature, similar in appearance to the horse. The pegasus appears to be native to the south of Circilia. A free-ranging herbivore, before their widespread domestication the pegasus was native to the upland pastures and mountain pastures. In the wild the pegasus was the natural prey of the griffon and wyvern. Intelligent creatures, pegasi have been kept as pets for thousands of years. They were popular regimental mascots of the Arentan legions and even appear, apparently domesticated, in recently discovered cave paintings at Birdbrook. While their small size and stamina limited their usefulness, throughout the Arentan and Royal Periods, they were sometimes ridden by particularly daring children. Famously, King Thomas’ third son Prince Roland was killed at the age of ten when he broke his neck riding his pegasus, Dawnrunner. The Whitby’s are an ancient Realmish family. They first appear in the Arentan census of 703 and are recorded as living on 37 acres outside Mandor and owning five cattle and thirty sheep, a prosperous holding for the time. In the wake of the Arentan withdrawal, they appear to have moved inland to Houghton, probably to escape the predation of Druidic raiders. They can be found in King Danton’s Blood Toll Book of 399 and are now listed as owning thirty cattle, three hundred and fifty sheep, seventeen horses and holding twenty serfs. The Whitby’s were a hard working and enterprising farming family and sometime in the mid 4th century they appear to have become increasingly interested in horse breeding. At great expense they imported Bar warhorses from the continent and put them across the hard-working local horses. The expense paid off handsomely and by 310 they were supplying warhorses to the crown and many of the great families. Morgan Whitby was not a man to rest on his laurels. Morgan had loved riding pegasi as a boy and now an intelligent, curious and indefatigable man, he became increasingly obsessed with the idea of breeding a larger, more useful breed of pegasus. Although his neighbours laughed at this madness he took to his project with all his prodigious energy. The largest pegasi were put across the smallest horses. Equine or small pegasi offspring were then put aside and the larger birds kept and the process repeated. Although the process was brutally slow, Morgan’s theory slowly worked. By the time of his death in 261, he had bred a flock of pegasi that averaged almost twelve hands. His son, Charles, continued his father’s work and the flock grew in size and physical stature. By 255 even the heaviest farm workers were able to take small hops around the farm on the pegasi. Then disaster struck, while taking one of these flights Charles was thrown from his pegasus and killed. This left the project in a precarious position. Charles’ only son, John, was a vague and bookish boy, apparently ill suited to the rigours of farm life. Many assumed the family’s secret work would be undone, abandoned or stolen by one of the great families. John proved tougher than expected however, ably support by his mother he continued his father and grandfather’s work and proved a natural breeder. By 243 the farm boasted almost twenty pegasi large enough to carry a man aloft for more than an hour. But John knew he now had to act. The rumours about their work already trickled into the larger towns. To further complicate matters, the breeding process had been fiendishly expensive and his debtors were already pressuring him. He decided to take drastic action. A great tournament was to be held at Farron with Queen Freya in attendance. Deciding to risk everything on the queen’s famous generosity, he gathered his men, saddled all his available beasts and flew north. Then, just as the tournament was opening, they landed before the royal pavilion and John presented the entire flock of pegasi to the Queen as a gift. Whitby’s faith in the queen was not misplaced as she instantly appreciated the importance of this noble gift. Of course a few of the Realm’s noblemen still boasted the odd griffon or wyvern, but since the departure of the Arentan dragons, the Realm had been largely bereft of an organised group of flyers. The queen had no intention of throwing these noble beasts away in battle like glorified warhorses, instead she saw them as a means of knitting her kingdom together. Messages that might have previously taken weeks or even months to reach her most outlying bastions or islands would now arrive in days. Disasters could be reported instantly to the capital and rebellions or raiding parties to the local garrison. In short, Freya saw the pegasi as a means to transform her lose confederation of duchies and fortresses into a true nation. 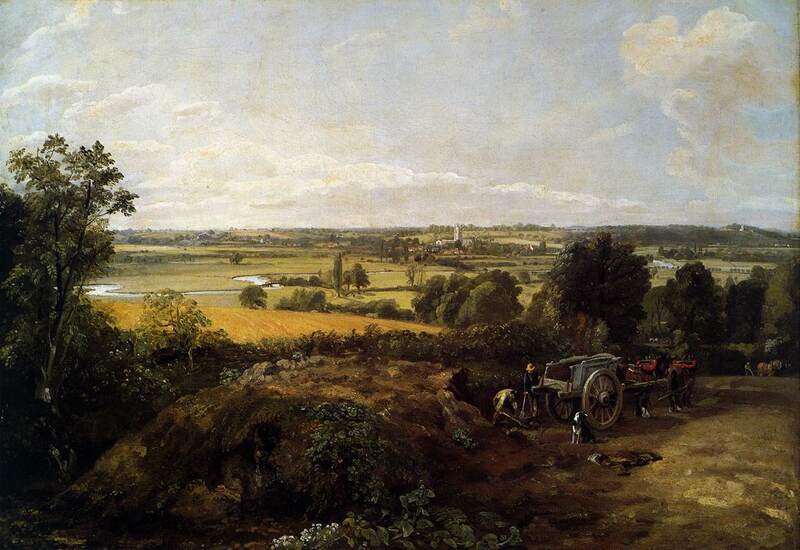 On the spot she granted Whitby a barony and commissioned him Commander of the Royal Stud. She also turned over some of her richest estates to his work. Just as Queen Freya had rewarded Whitby’s faith, so he now rewarded hers. He worked incredibly hard and, with almost unlimited funds at his disposal, the Realm’s blood stock of pegasi rapidly grew. By the time of Queen Freya’s death in 221, hundreds of pegasi and their riders of the Royal Messenger Service continually criss-crossed the Realm carrying news, letters and royal edicts. These were the precursors of today’s Royal Aerial Mail. For almost a thousand years until the coming of the Blackwing Plague, the pegasi worked tirelessly in the service of the crown. Who can guess how many disasters were averted by a message carried by one of these kind and noble beasts? Indeed, many scholars believe that without the pegasus, the Realm would have disintegrated into warring states during ‘the Disorder’. Queen Freya had been right – sheltered by the broad wings of these noble beasts a feudal empire slowly became a nation.